What a nice idea! Yes, I think that roasting the asparagus first is an excellent idea! Here’s Ed’s recipe. 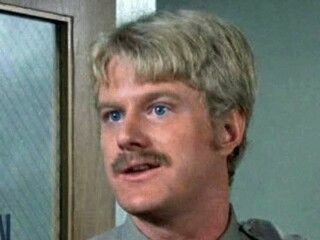 He’s in two episodes of Columbo – briefly in How To Dial a Murder, then later as the villain in Undercover. Cut asparagus into three-inch pieces, steam until crisp-tender. Set aside. Meanwhile, in a small bowl, blend lemon juice, olive oil, orange juice, cayenne pepper, salt and black pepper. 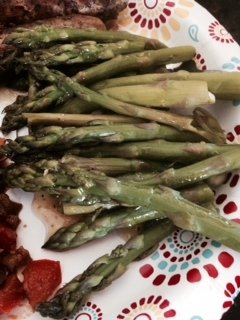 To serve, arrange asparagus on a platter, then drizzle with dressing. 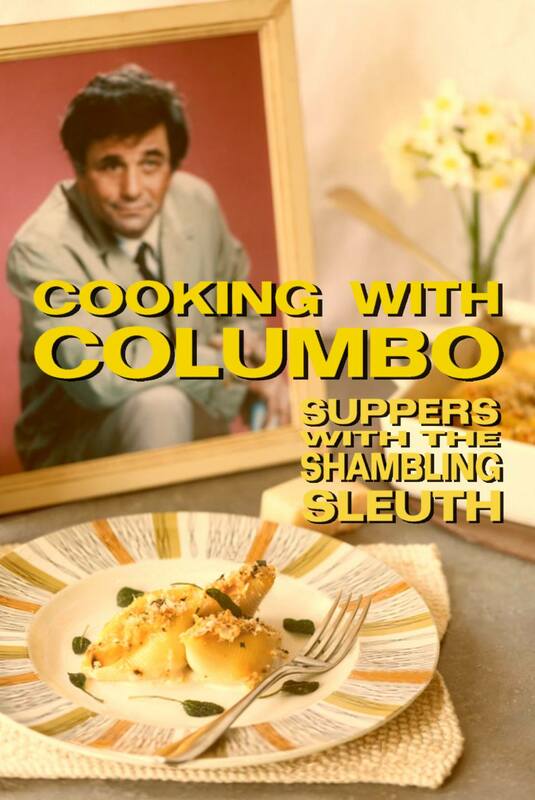 The Cooking With Columbo book launch date less than a week away – eek! 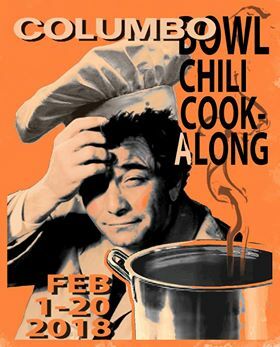 Excitement is mounting and I’ve been getting lots of great photos of the Johnny Cash Chili people all around the world are making for the Columbo Bowl cook-along. So much fun! There is still time to cook up a batch of Johnny’s chili and be in with a chance to win this finger puppet and many other prizes! 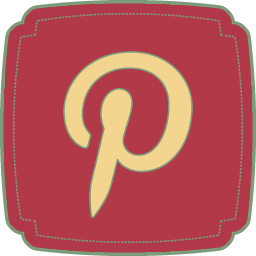 Here’s a link to the recipe – both veggie and meat versions – join us! Josie and Freda had better get knitting! Those Columbo finger puppets are gonna be in high demand! They absolutely LOVE your gif Greg!